After my first trial of homemade jam, my comment is: unless you are huge fans of preservatives, food dye, etc, what’s the point of buying jam outside? Just make it by yourself! 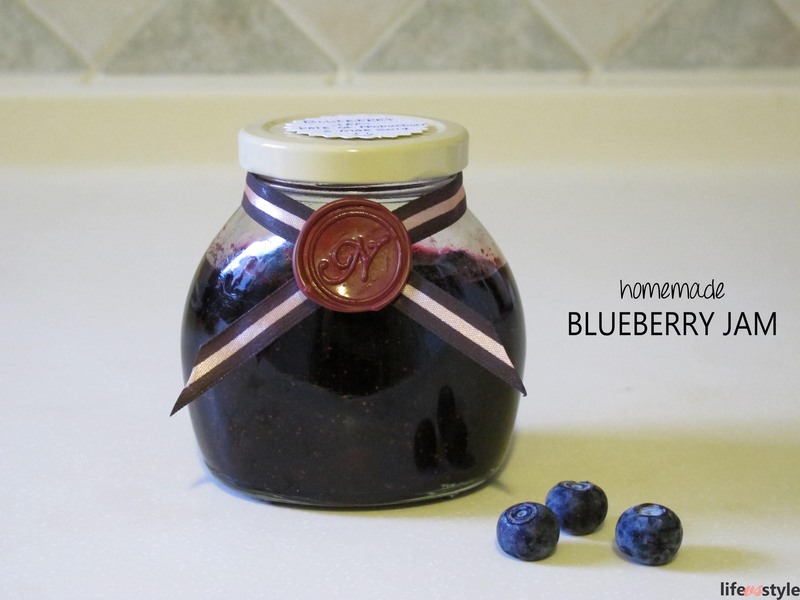 Very easy and fast and you can enjoy the fresh made no artificial yummy jam! 3. Boil for like 7-10 minutes (really depends, you have to pay close attention to the texture, the image above shown the texture of 2-3 minutes cooking) until the mixture looks thick and syrupy. 4. 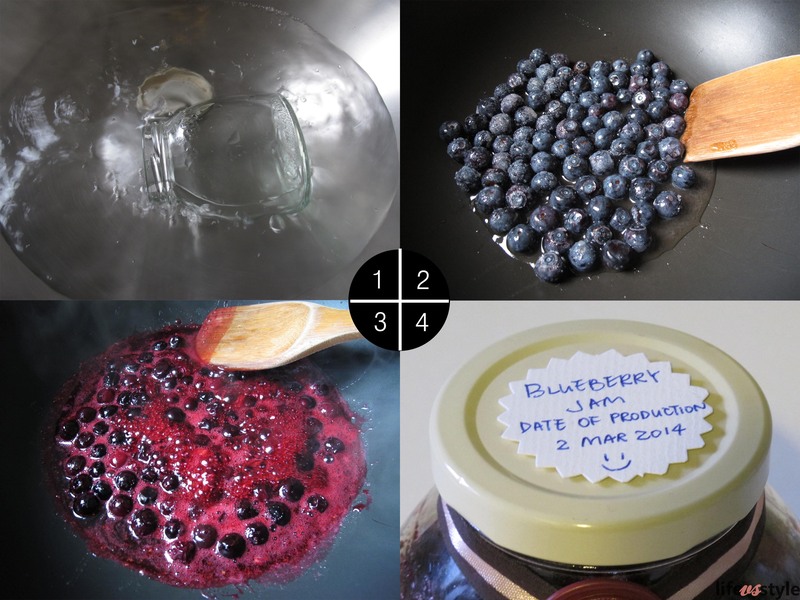 Pour the jam into the sterilized jar, let it cool completely before refrigerating. 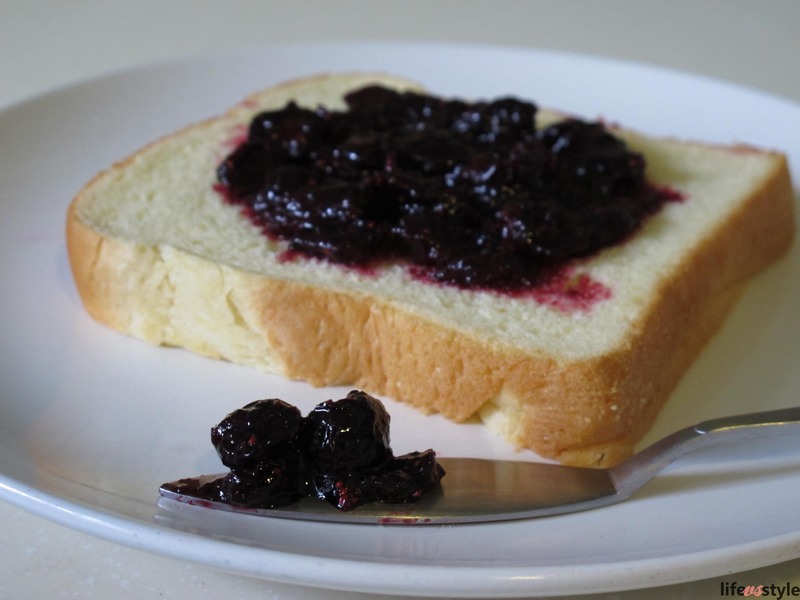 *If you don’t like “chewy” jam, you can cut the blueberries into half or even mash them. **You may replace blueberries with other fruits, the amount of sugar vary according to the fruit and personal preference.